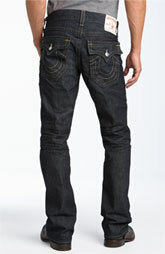 This is just for your good looking, there is nothing more amazing than a man with nice jeans on. When you are out with the boys, perhaps watching your favorite game, taking your lady out on a date, or possibly just shopping there is a correct way to wear your jeans. 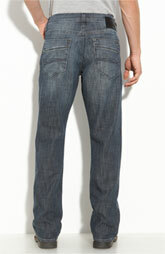 Jeans can look great on you in any shade or style when you have just the right ones on. 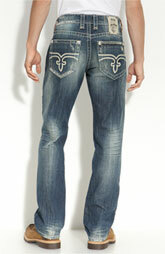 Men your jeans come in many styles as well, but we are going to show you some that we (Kiss and Wink) like on a man. 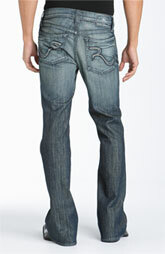 These jeans are not only comfortable, but they will allow you to have that strong masculine walk that we all love. 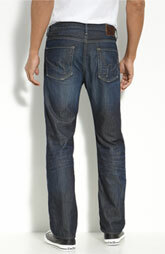 So, here it is gentleman styles and brands of jeans that we love to see on you. 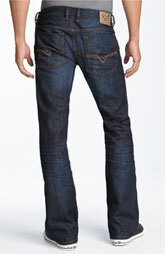 Classic boot-cut- These jeans tend to be more form fitting on top and flare out a little at the leg and ankle. They can be worn with almost any shirt, however please do not wear these with high-top sneakers. Relaxed or wide leg- These jeans have a loose fit from the waist to your ankles. They can be worn with a t-shirt or a button-down. These are extremely comfortable. 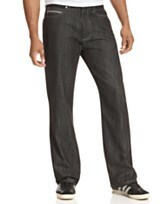 When you wear jeans gentlemen that fit right, you look great also. We hope you love one of the above styles. 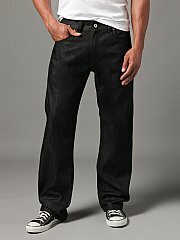 Always remember to look at your complete outfit and ask yourself do these style of jeans match with the shirt I have on. You can be masculine and still look nicely put together. We give all the above jeans a Smooch. We love to hear from you, please let us know which one is your favorite, by commenting below.